"Date When Celebrated: Always February 3: Help the wild birds in your backyard to survive the long, cold winter by feeding them. 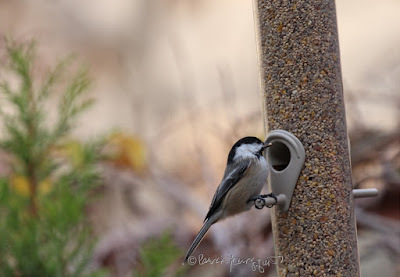 That's exactly why this special day was created. 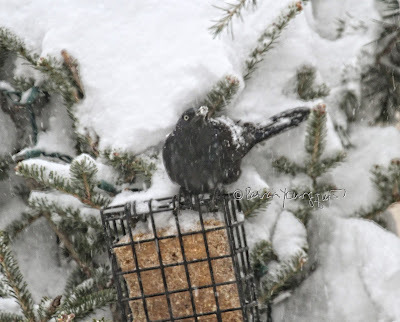 Mid and late winter are especially hard on all outdoor animals. 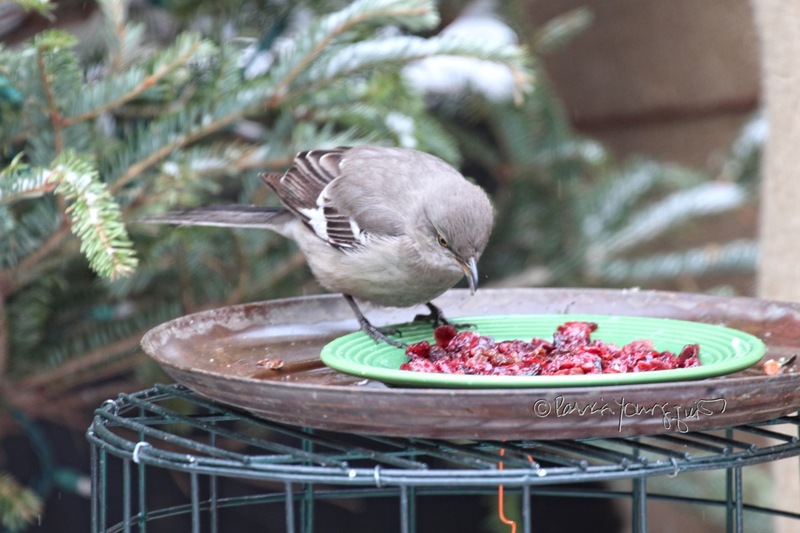 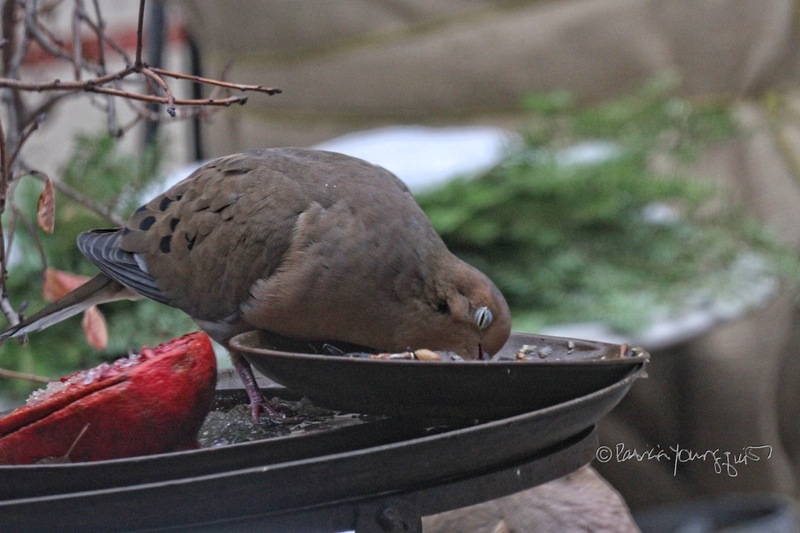 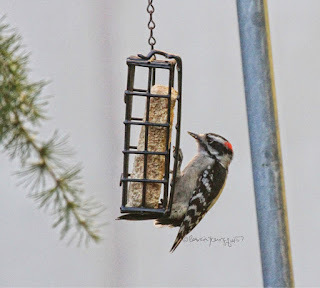 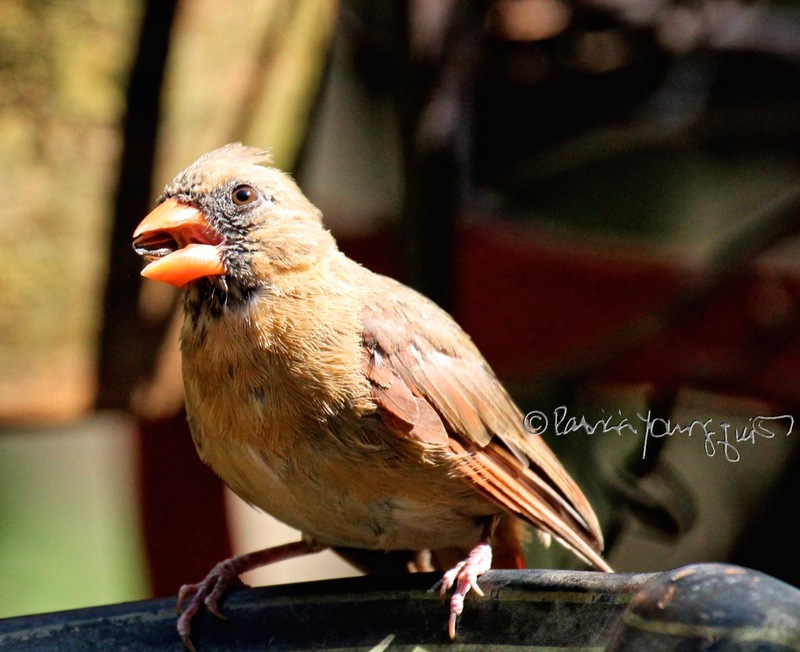 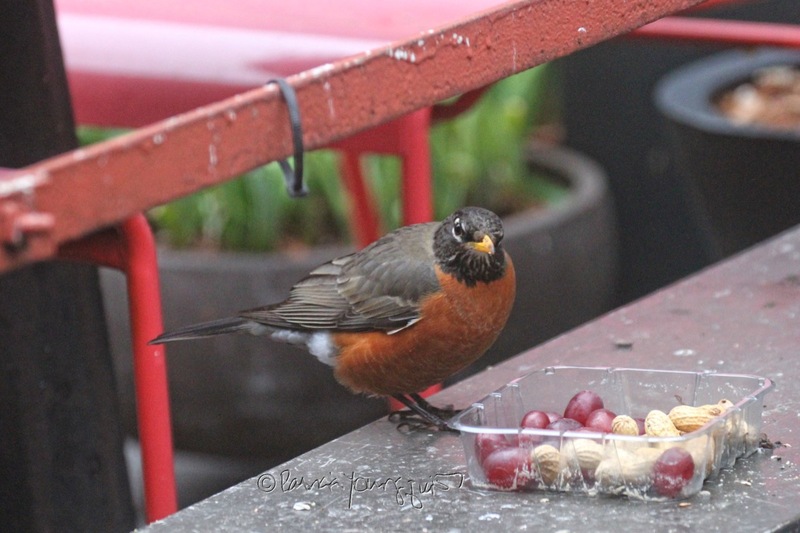 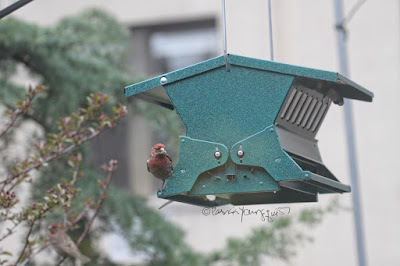 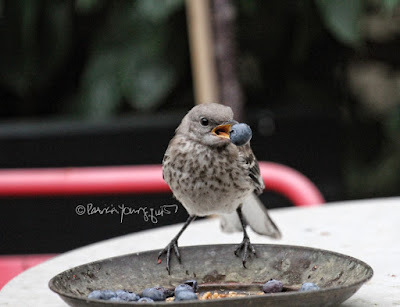 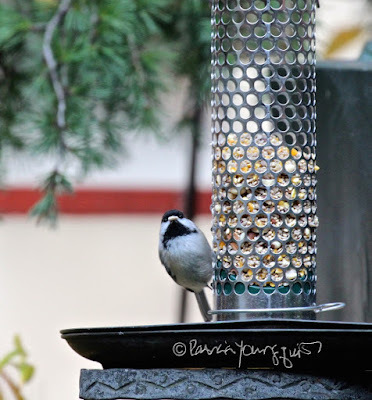 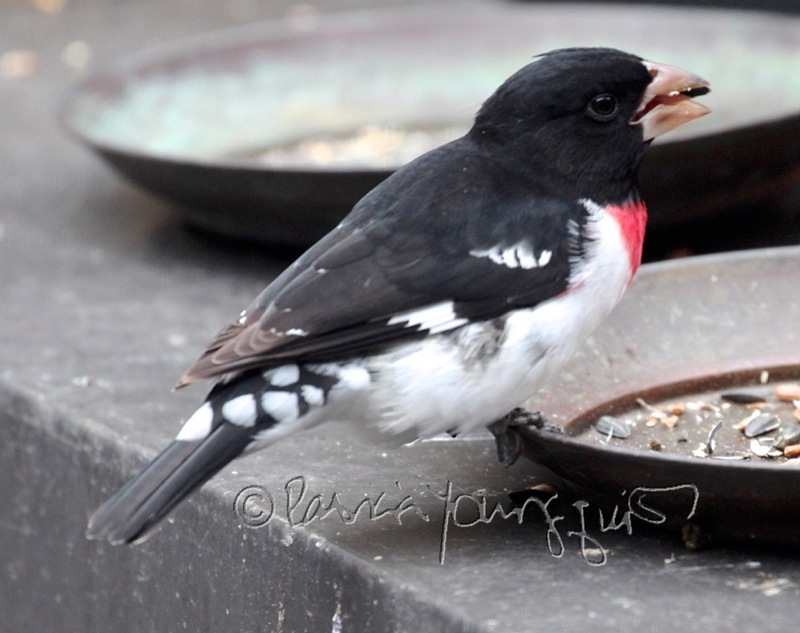 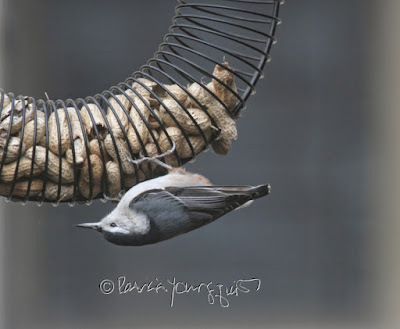 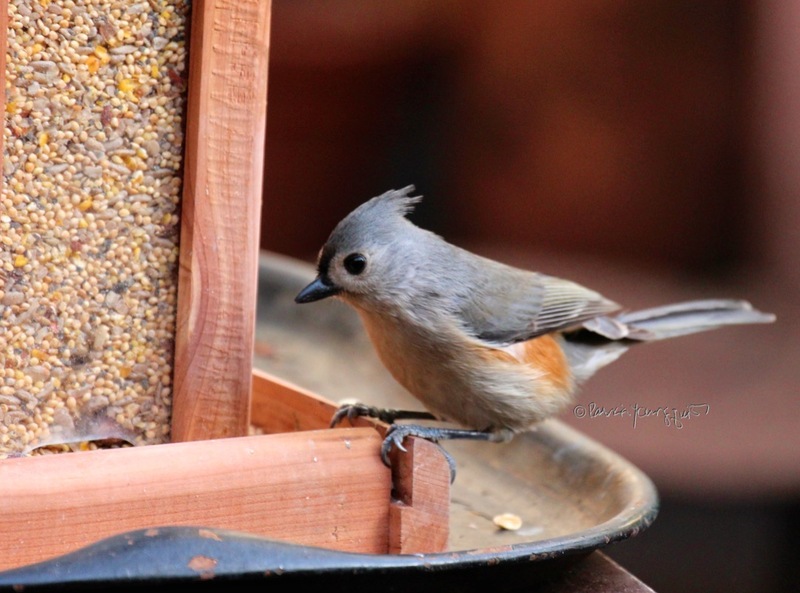 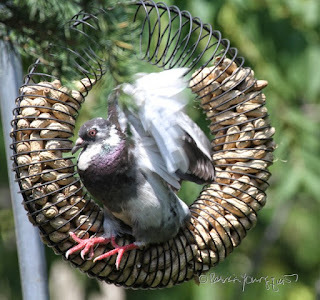 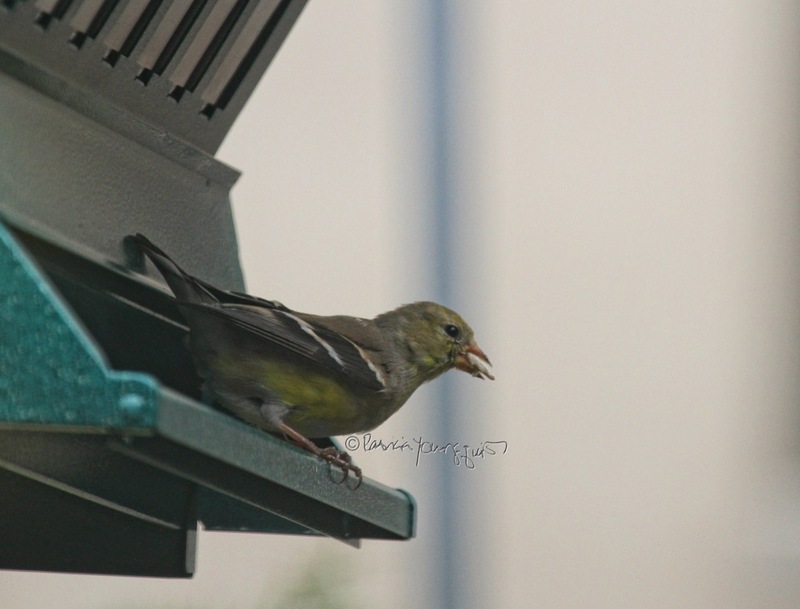 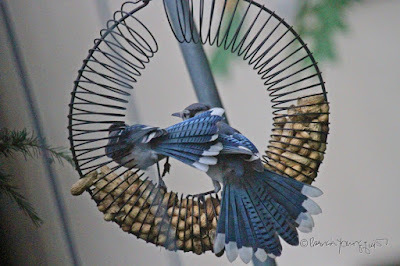 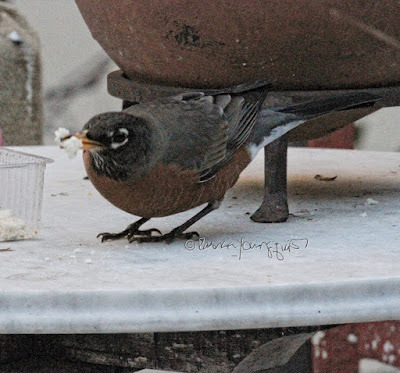 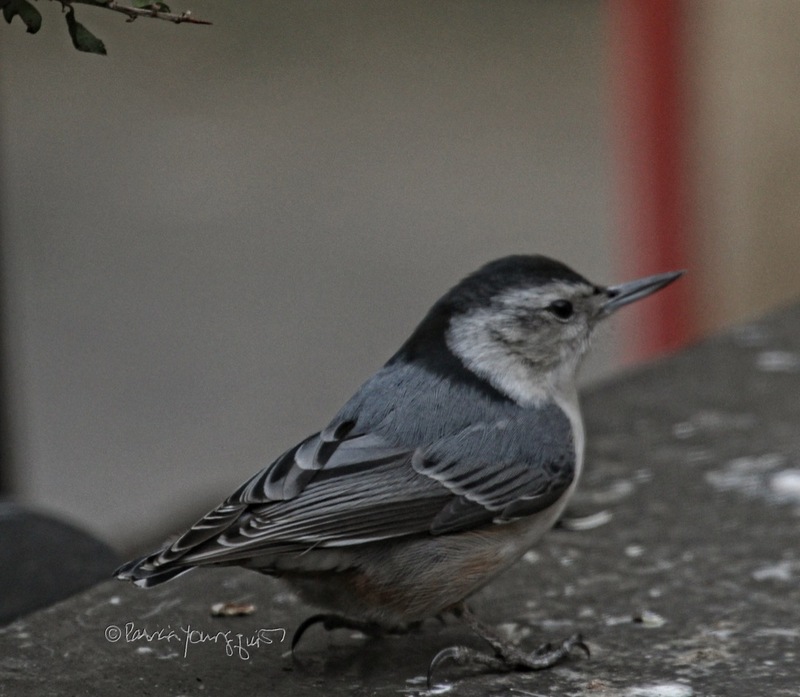 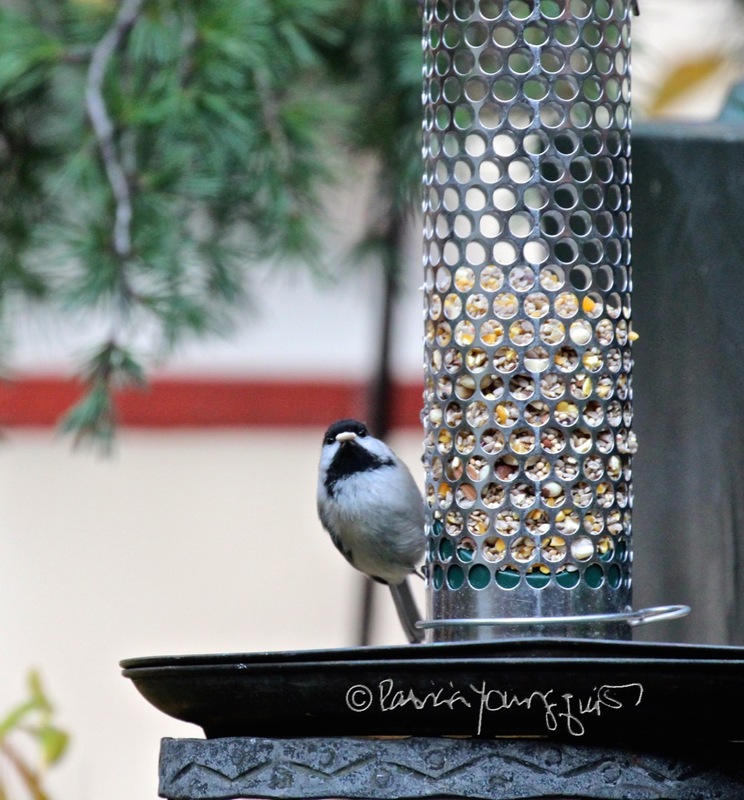 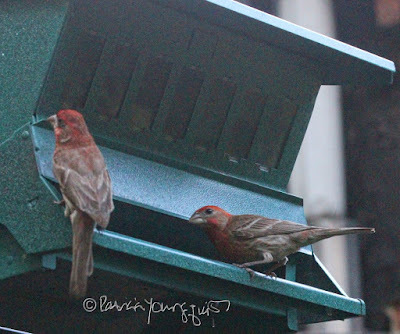 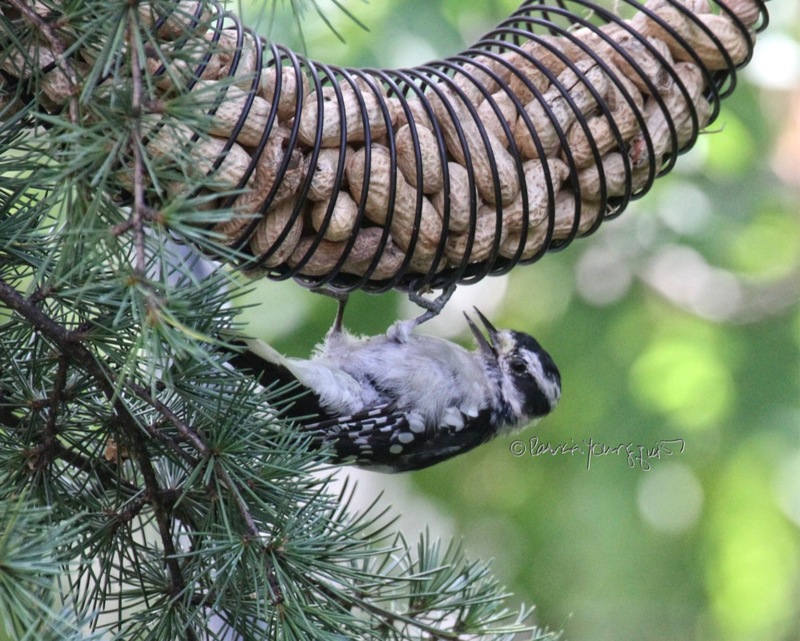 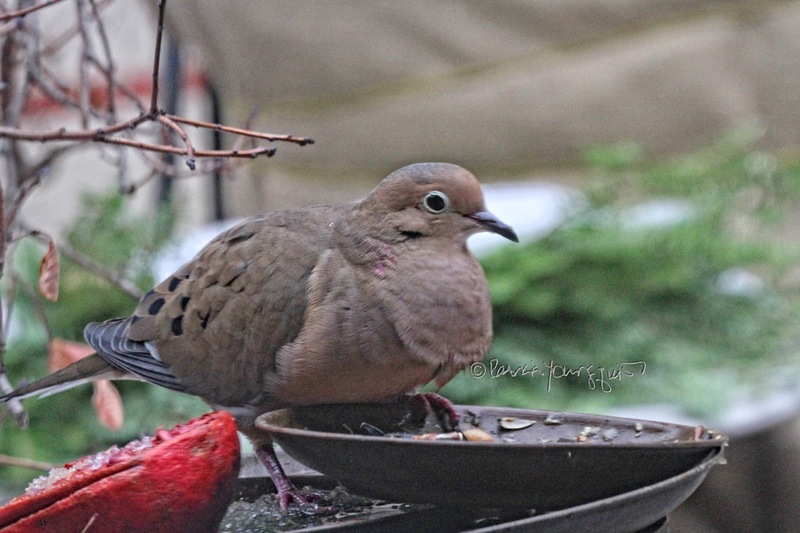 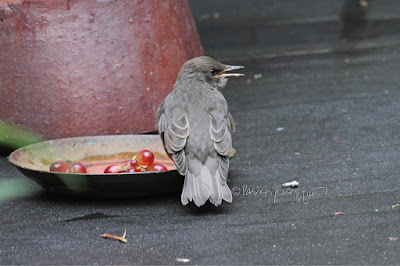 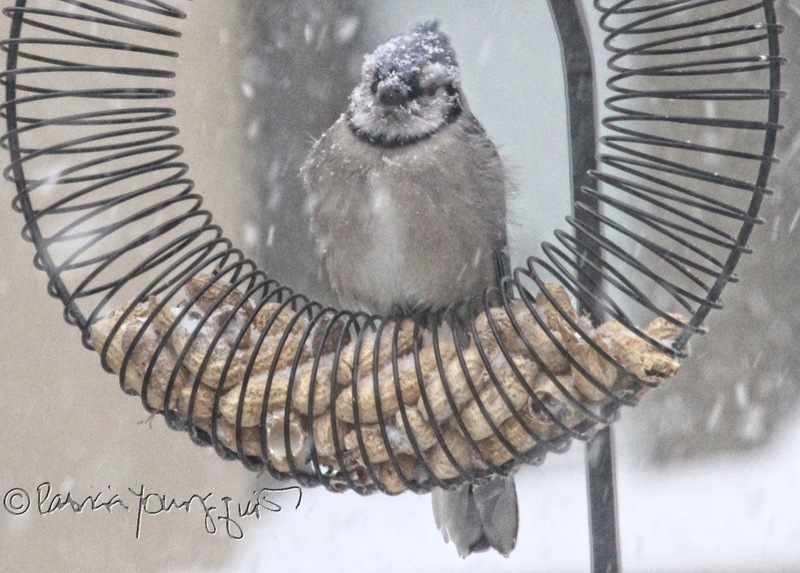 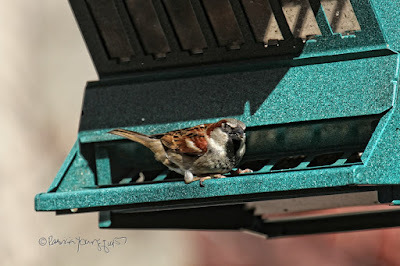 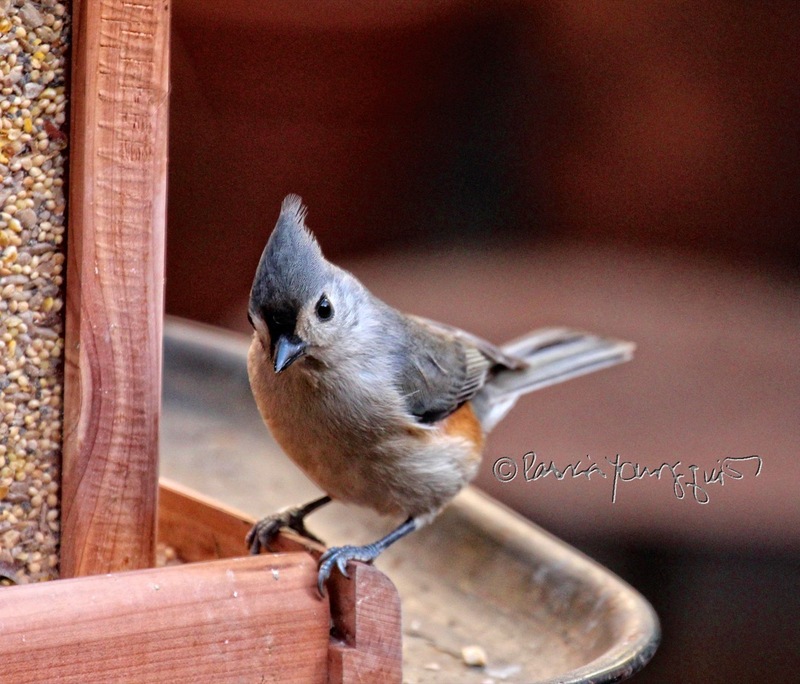 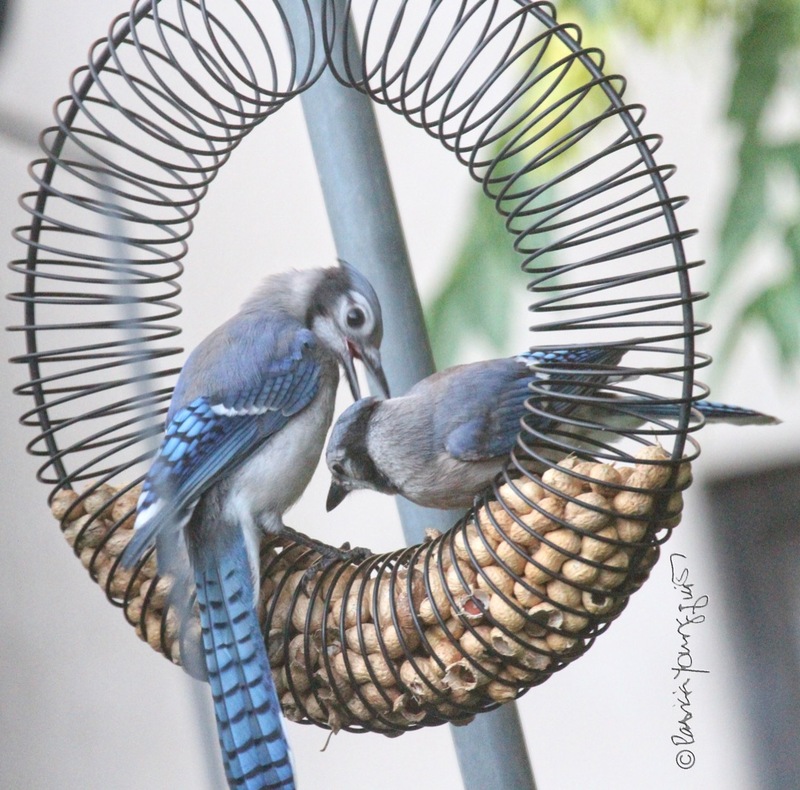 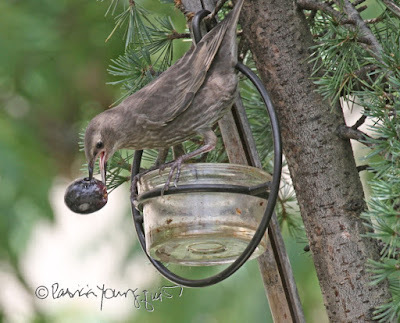 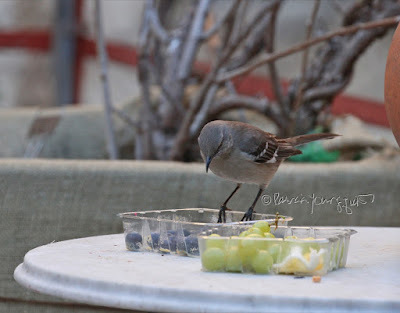 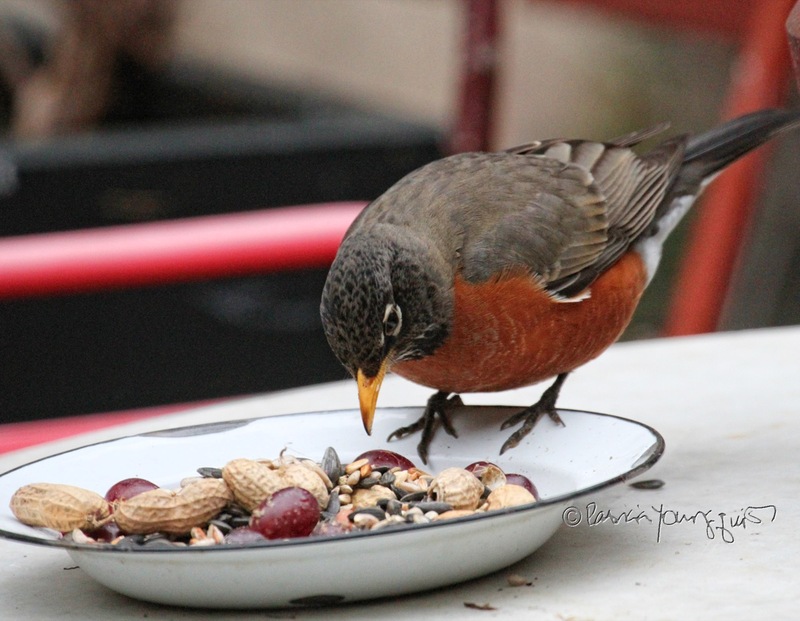 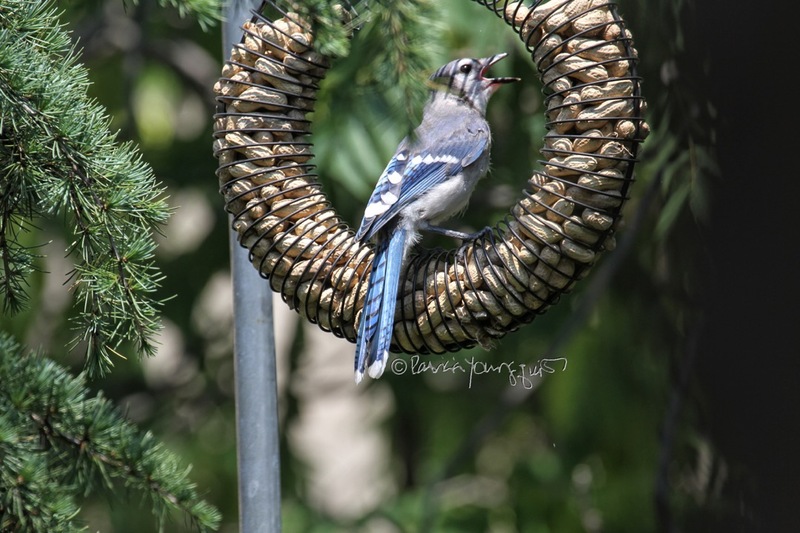 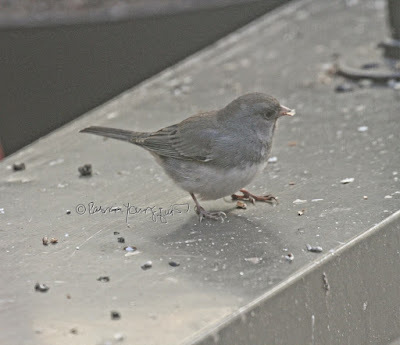 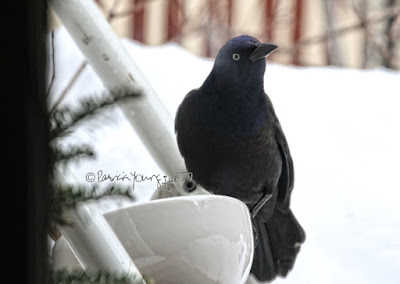 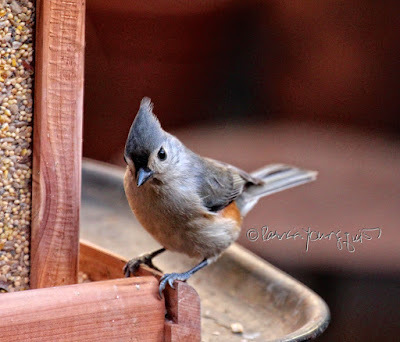 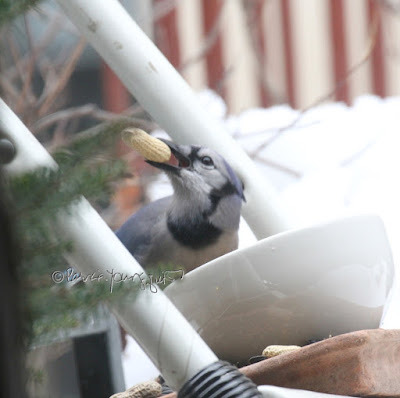 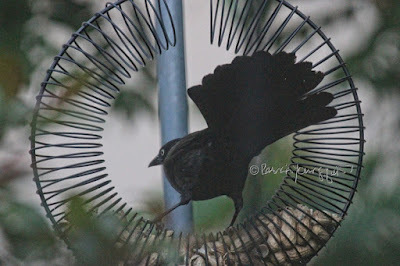 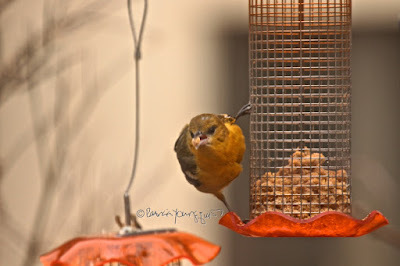 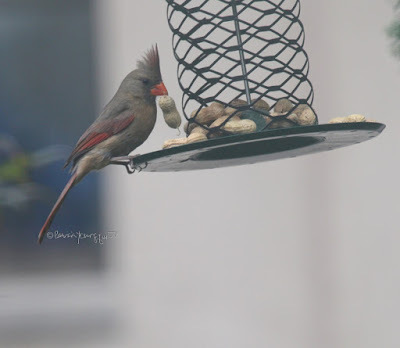 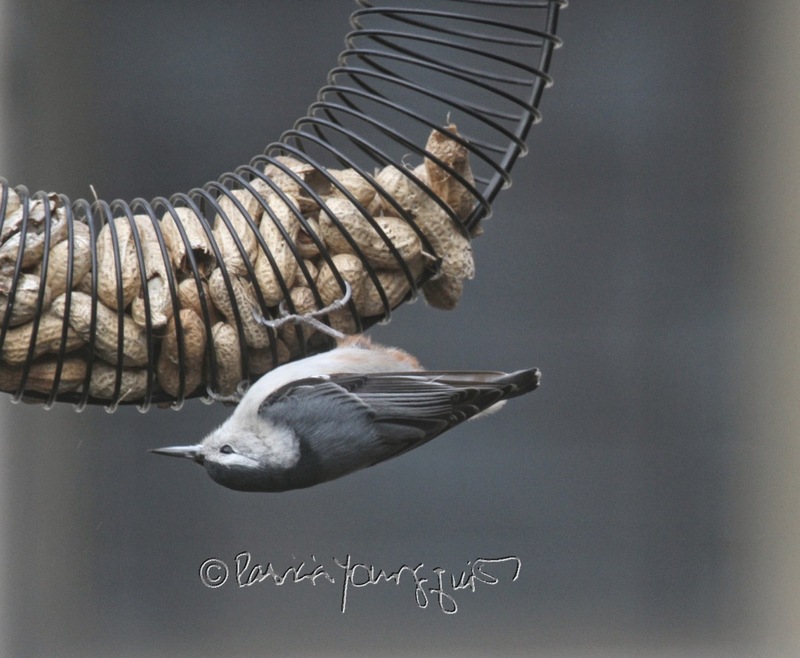 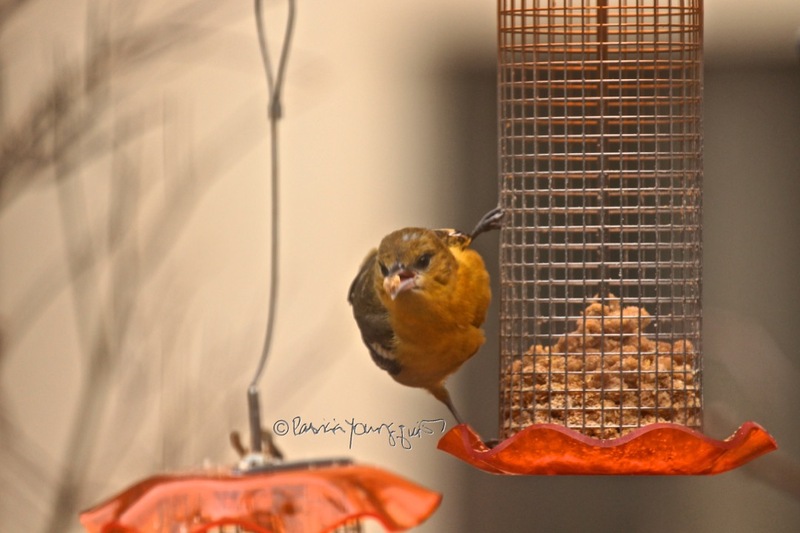 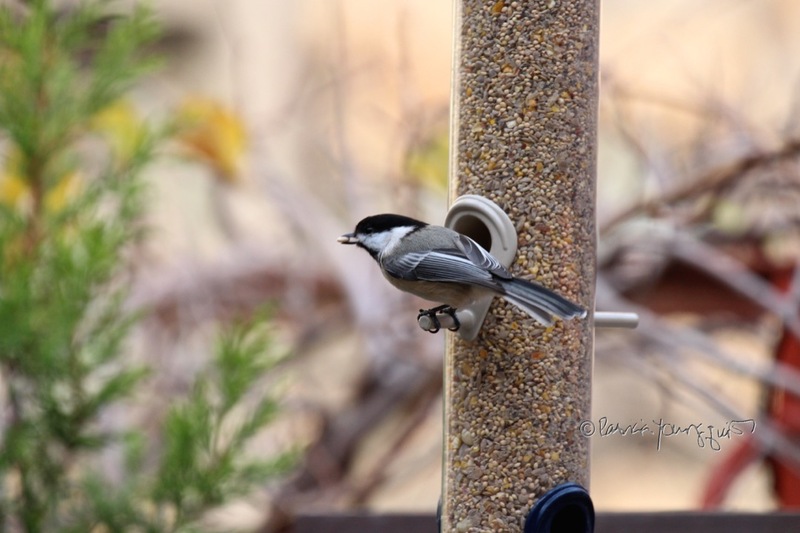 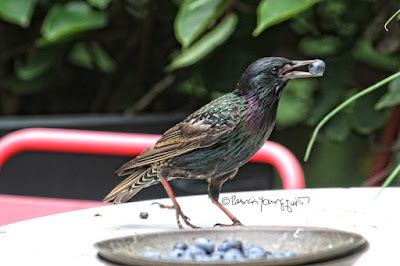 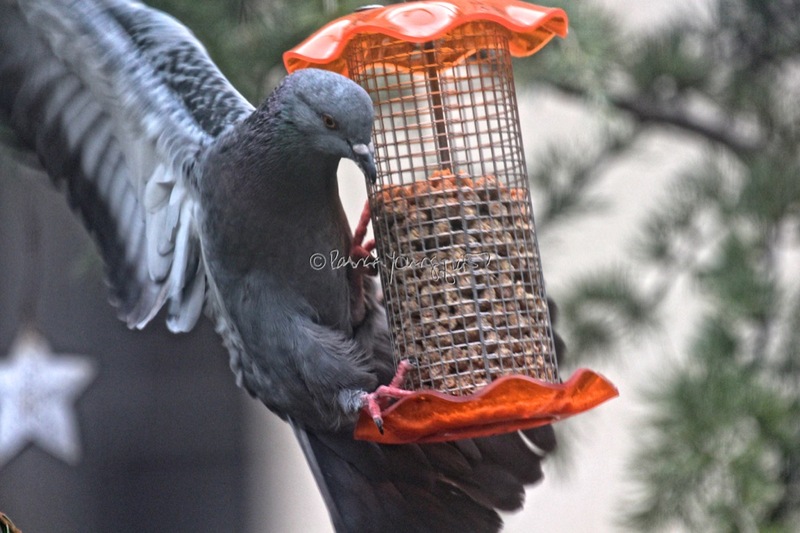 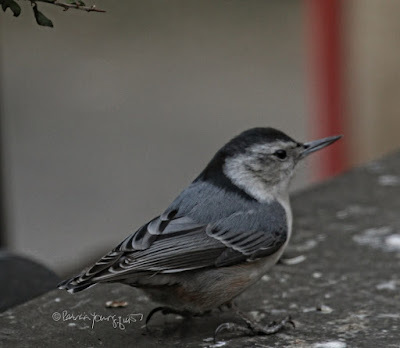 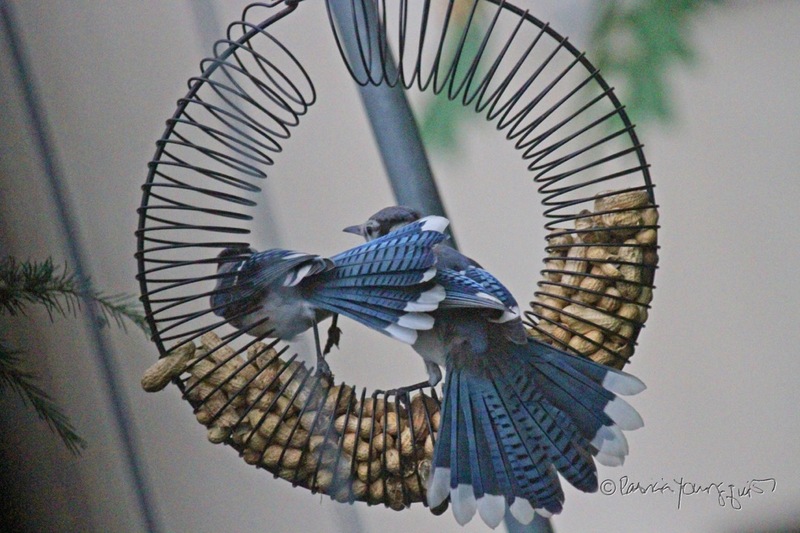 By mid winter, food sources become scarcer and scarcer for the wild birds that over-winter in your backyard..."
In terms of the many photographs of wild birds eating that I used in the aforementioned entry, most of them are different than the ones I am using today. There is not much new I have to offer in terms of information re the importance of feeding wild birds at this time of year, so in terms of viewing this particular entry, may I suggest you listen to the song as you view my images of different birds eating; and then after doing this, — if you are so inclined — go outside and FEED THE BIRDS! And, last, as of this posting re birds who've I've observed noshing in my place, is the bird type known as a lone American kestrel. 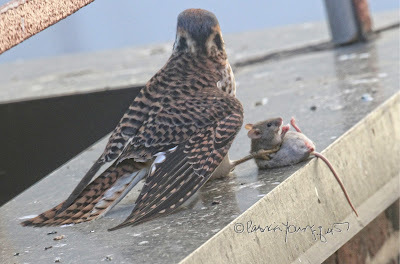 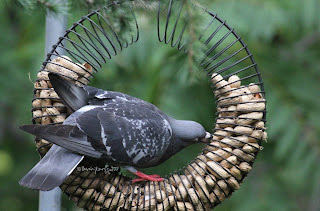 However, his/her intent wasn't on what I offer in my feeders, rather, it was on an unfortunate roof-rat, which was unpleasant to witness (as evidenced in the image below), but part of nature's chain. 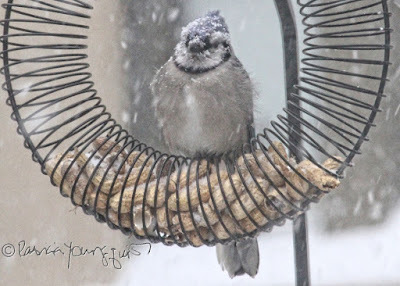 Be that as it may, dear reader, I hope you get a chance to participate in this Feed the Birds Day, and that you don't limit your doing so to today. 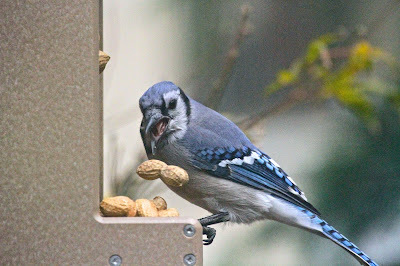 If you don't have a garden or outdoor space, consider the birds who spend time in your local parks, public spaces, or at your beaches. 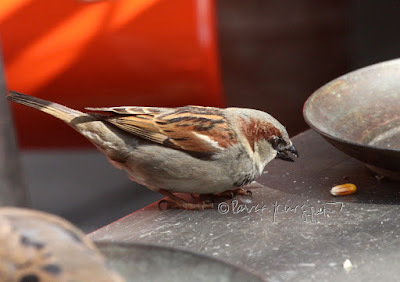 They can use your help too, if the authorities permit feeding them. Meanwhile, Feed the Birds Day is a good opportunity to feed yourself with information about the avian community. 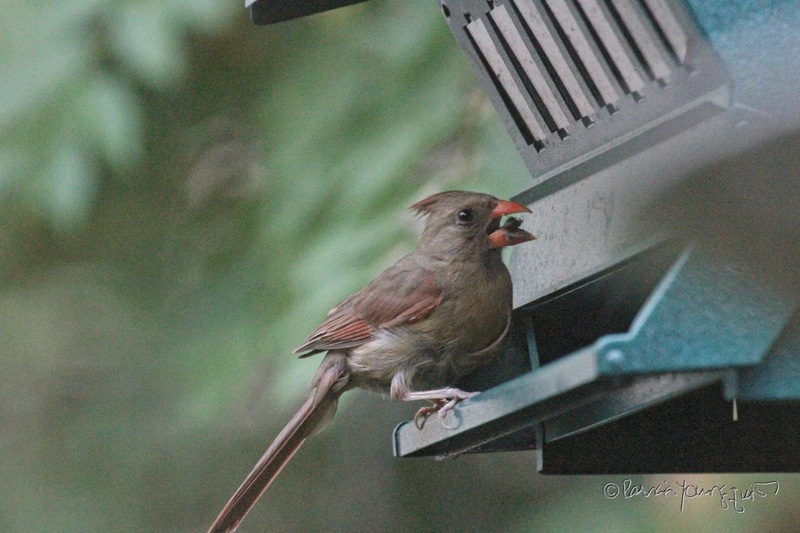 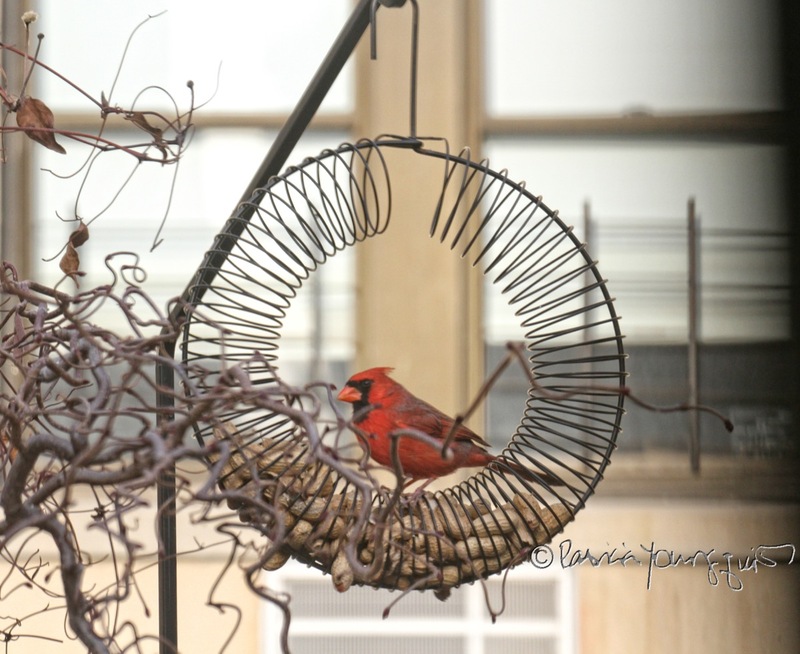 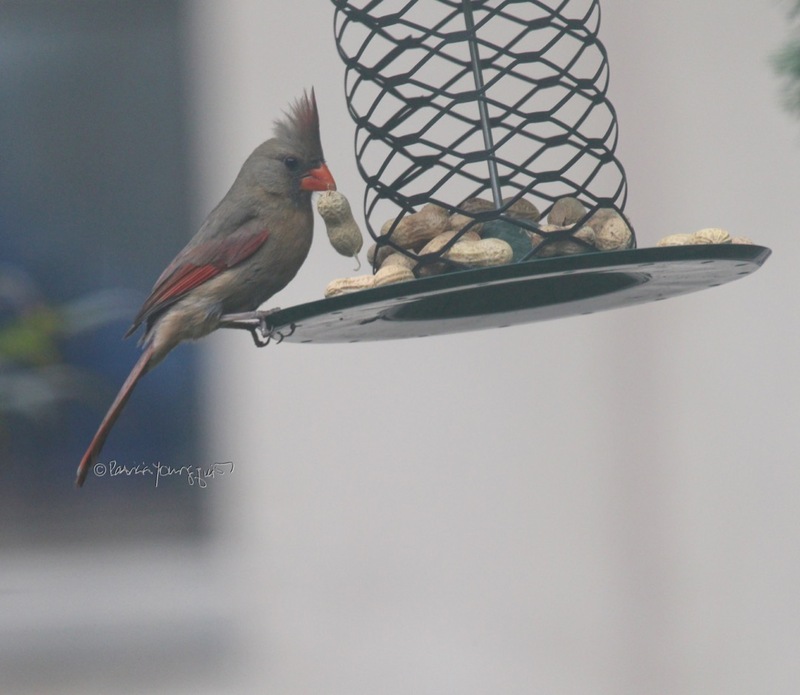 Here's one way you can do this: As some of you know, Cam (the female cardinal featured in the first bird image within this entry) is a spokes-bird for the avian community, and she has written a book about her feathered comrades. 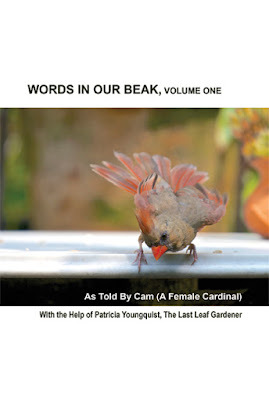 A photo of the hardcover version of her book, Words In Our Beak Volume One can be seen in the next image. 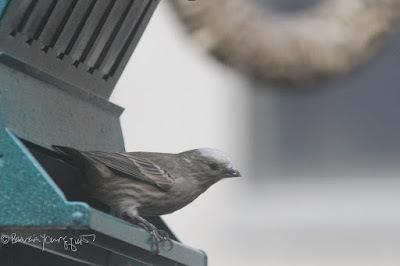 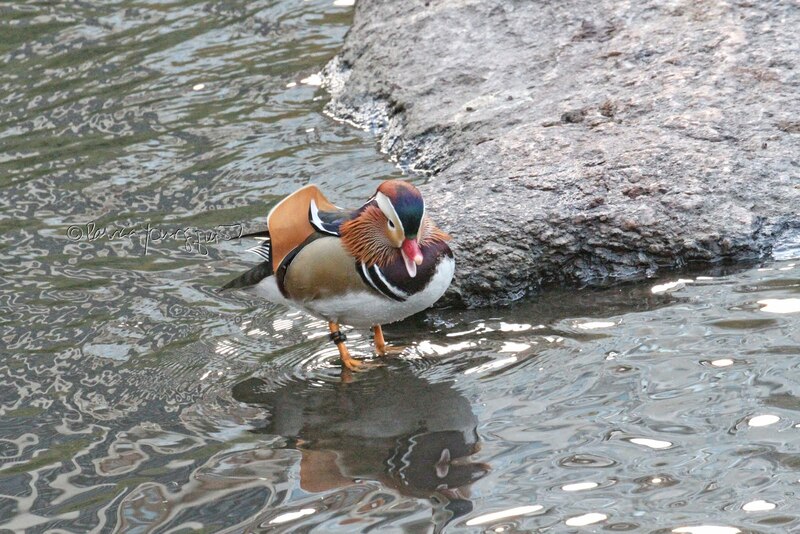 Cam's story is accompanied by over one hundred pictures that feature flora, insects, points of interest in NYC; and of course, members of the avian community. 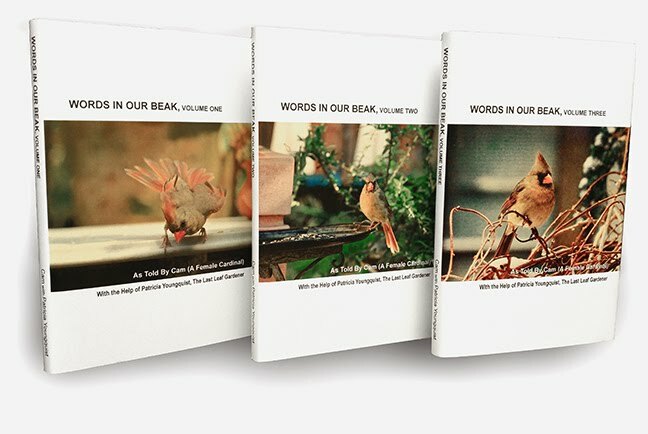 The book is available in a few formats and the following information will direct you as to how to buy the versions of WIOB V1 which best suits you.